Who doesn't love chocolate? Exactly! 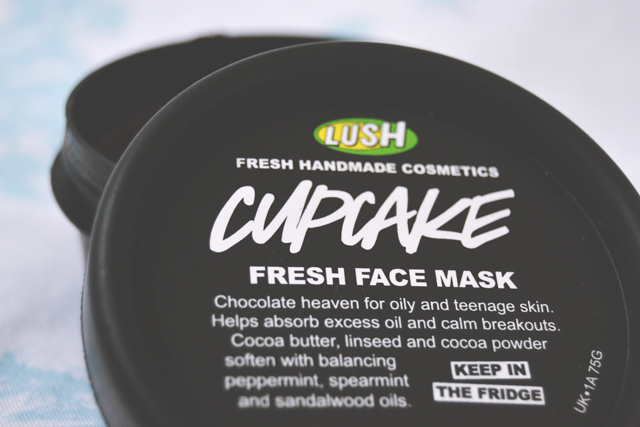 So a Lush face mask that smells like chocolate sounds like the ultimate luxury, am I right? 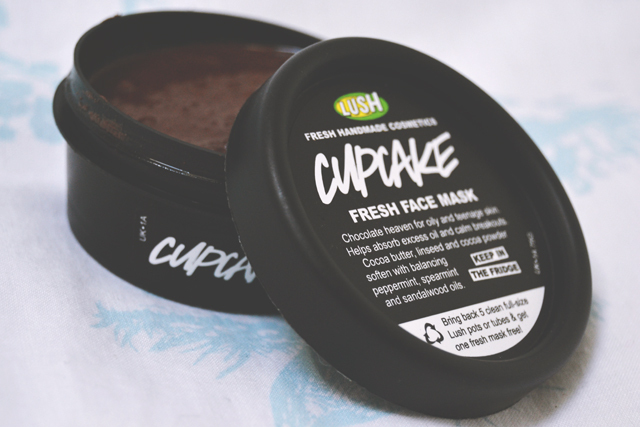 Although Cupcake may not look particularly appealing, it is unsurprisingly for Lush, a gorgeously pampering product. When applied, there is the initial delicious smell of chocolate, although that gives way to a strong peppermint fragrance, giving the overall impression of mint chocolate, which is my favourite type of chocolate, by the way! Despite the rather gritty feel to the mask, it feels perfectly comfortable on the skin. The thick consistency makes it easy to apply in a thick, even layer and it doesn't drip like to many other face masks do. While the mask is on, the skin feels tingly but in a soothing way. There's no feeling of discomfort or irritation- just a relaxing, minty tingling. Once it has been washed off, the skin is left feeling very soft and soothed due to the cocoa butter which moisturises the skin. Overall, this is a luxuriously indulgent face mask with a glorious smell and wonderful after effects. 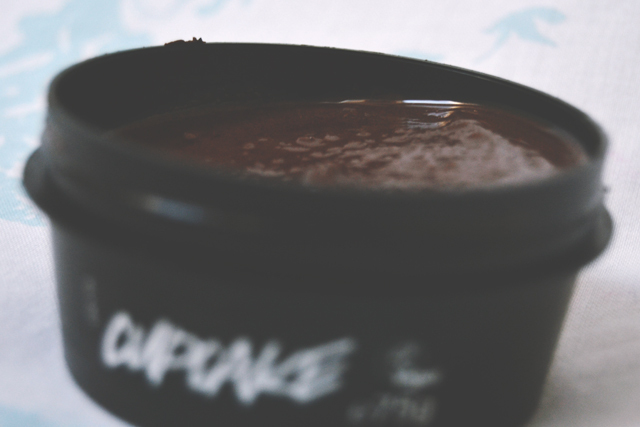 Perfect for chocoholics and beauty addicts alike! I don't know which is my favourite flavour, mint chocolate or chocolate orange. I've smelt this in store a few times, I want to eat it! I wonder what mint and orange chocolate would taste like? This was the first LUSH product that I used and I loved it! Haven't had it for a couple of years though - may need a revisit! Definitely go back to it! I think my first product was the bubblegum lip scrub. Aw this face mask smells so good but I haven't tried it yet because it's supposed to be for oily blemish-prone skin and mine is dry. They need a dry skin version of it! Oh no! That's frustrating. My skin is neither here nor there so I can get away with it, luckily. I've only tried three of the masks but I must try some more!